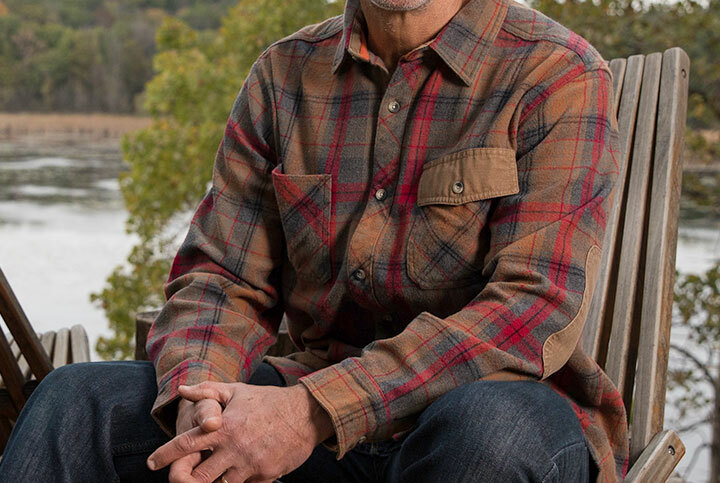 Men's Harbor Heavyweight Woven Shirt is rated 4.9 out of 5 by 70.
the Smoky mountains, this exclusive plaid pattern is a perfect example. 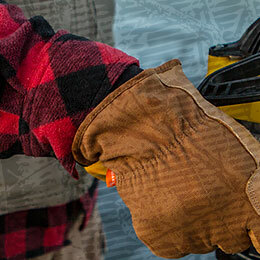 Indoors or out, you’ll like the way this shirt holds up to hard use. 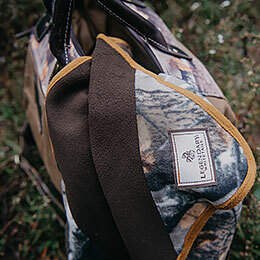 Design details include a button front with 2 pockets (1 button flap, 1 patch), elbow patches, adjustable cuffs, and an exclusive plaid pattern. 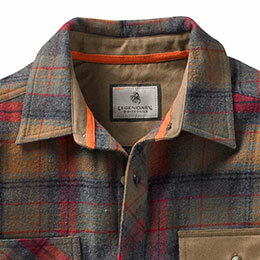 Cotton construction with engraved Legendary® buttons. Rated 5 out of 5 by Brendan from Perfect Great quality heavy shirt. It’s one of my favorites already. 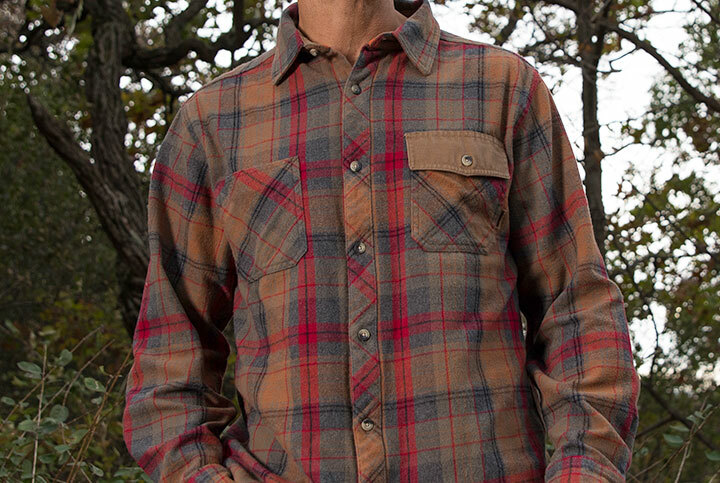 Its similar in terms of thickness to my redhead brawny flannel shirt but with a nicer pattern and feels like it’s made better. Rated 5 out of 5 by cjohnson from Great in any weather Can't think of a single thing not to like! 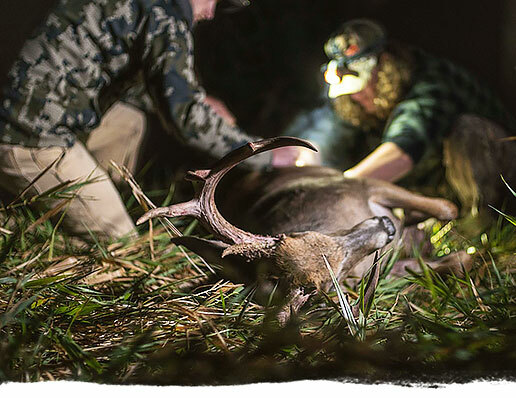 Perfect weight as an over-shirt for almost any weather. Great addition to the wardrobe. Rated 5 out of 5 by Jeff Howe from Good Transaction The shirt is a gift for my son, so it's still in the package. It seems quite heavy and well made, though. And the shipping was very prompt. Will this item be available for purchase again? 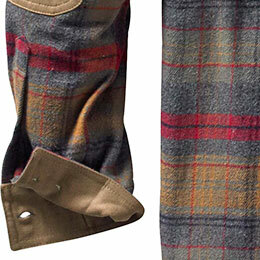 What does &quot;woven&quot; mean in describing the fabric? 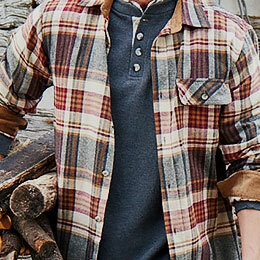 As compared to say, the Buck Camp flannels? Also, will these shrink much with washing? First Buck Camp flannel I got in medium shrunk (gave it to my son) and I ordered a large for myself. 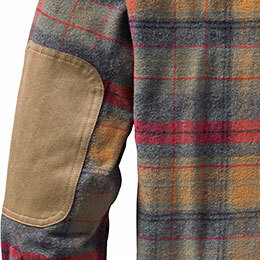 Compared to the Buck Camp Flannel, it is a thicker woven material. If washed and dried without heat, they should have little to no shrinkage. 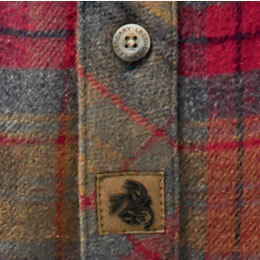 When will you come out with some different patterns or colors of the Harbor Heavy Weight Flannel ? Soon I hope. While there are no current plans for additional color options, I will be sure to pass along this suggestion to our Product Development team! This Heavy Weight Woven Shirt fabric is 295 grams per square meter, a little over 8.5 oz. What does &quot;Heavy Weight&quot; mean? 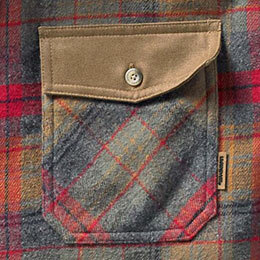 Is the fabric heavier (than the normal flannel) or have a liner? 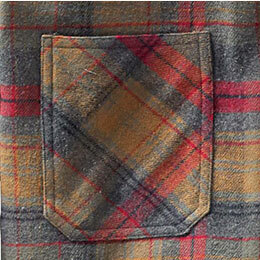 The shirt does not have a lining, but the fabric does have a heavier weight and feel to it. Specifically, it is 295 grams per square meters.